Near Parshuram Mahadev Temple, Udawad, Tehsil Kumbhalgarh, Rajasthan- 313325, India. "The Kumbha Bagh is a luxury resort in Kumbhalgarh. 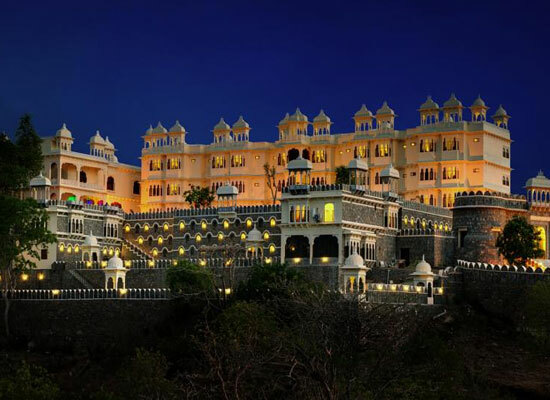 Perched at 3,500 ft above sea level, close to the Kumbhalgarh fort, the all-suite resort sets new standards of luxury. Experience a memorable holiday in the Aravallis. The elegant fusion of the traditional with the contemporary will create a wonderful stay. The Kumbha Bagh's most outstanding features is its landscape design. Created in a modern layout using traditional materials and motifs, it is a charming confluence between the old and the new. The raw materials used are all local, with extensive use of white and Green marble. Combining quality with comfort, the rooms are adorned with luxurious features and fittings. The in-house dining team pampers with sheer gastronomical delights. Whether you are on a family holiday, a trip with friends or a solo-escapade, Kumbha Bagh creates a memorable experience. 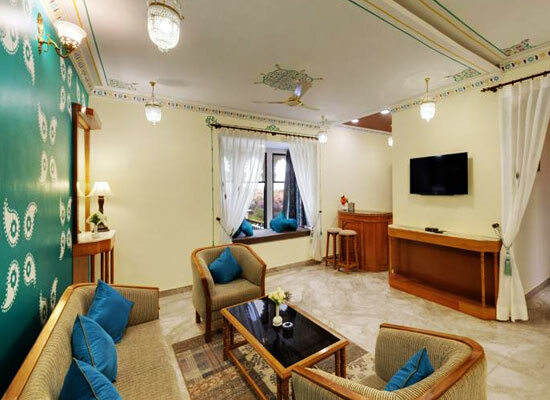 Kumbha Bagh has 33 air-conditioned accommodations in options of semi suites and 2 suites. The elegant layout is inspired from the bygone era yet up to date in the modern luxuries. The Semi Suites of Kumbha Bagh are fascinating. The comfy rooms have options of a king size bed or twin beds. 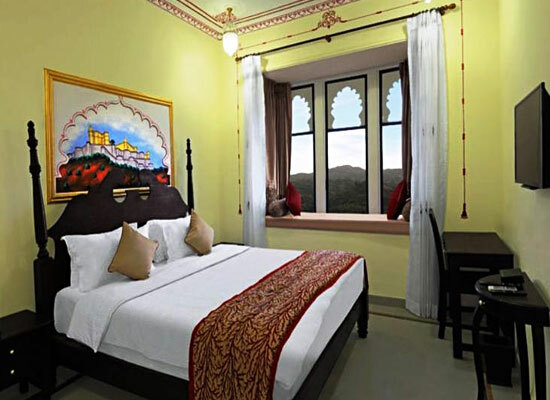 The air-conditioned suites have access to beautiful views of the Kumbhalgarh fort. En-suite bathroom, air conditioning, TV and entertainment options and other amenities are available. Enjoy the lavish delights of your accommodation. 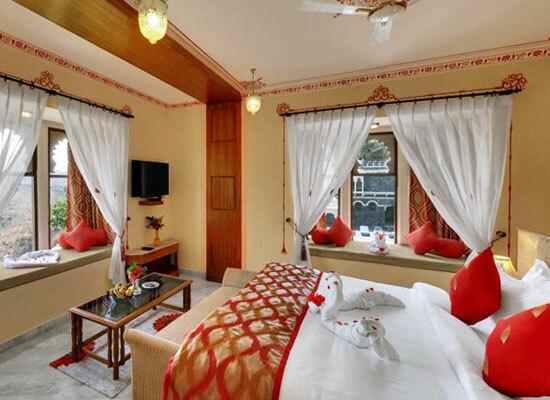 The 1000 sq ft. Kumbha Suite, offers a cherished stay in the resort. It forms the front arms of the resort. The lavish suite offers a king size bed and has its own private deck, Jacuzzi and balconies. Enjoy the breathtaking view of 14 the century Kumbhalgarh Fort and Kumbhalgarh Wildlife sanctuary. The features and amenities create a wonderful memory of your stay. 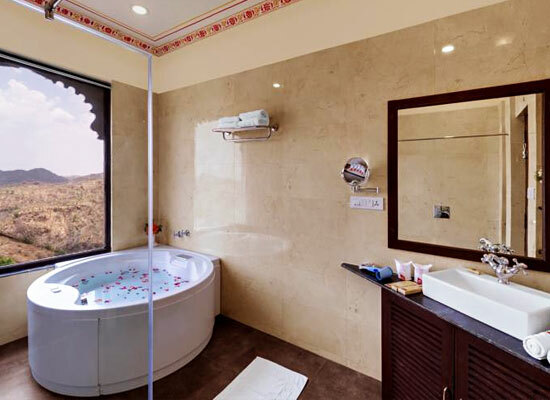 Pratap Suite is a 1000 sq ft. lavish room which comes with its own private deck, Jacuzzi and balconies. The beautiful room has a traditional king size bed with luxurious features and fixtures. Enjoy the glorious view of 14th century Kumbhalgarh Fort and Kumbhalgarh Wildlife sanctuary, the first thing in the morning. Relish a holiday like a king in the suite named after the King itself. 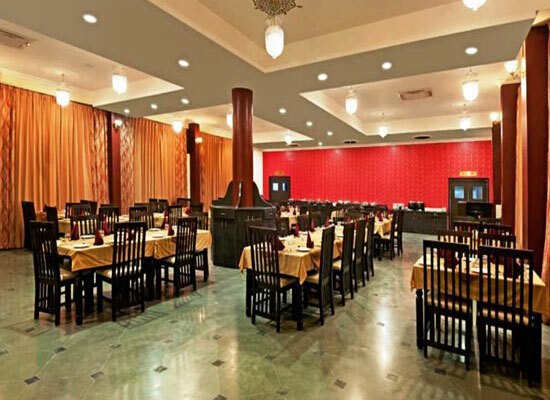 The Multi-cuisine restaurant in the Kumbha Bagh offers a gastronomical delights. The in-house chefs create a wonderful experience. Enjoy dinner in the beautiful setting of the restaurant decorated in traditional style. The chefs will be delighted to create any special dish on prior notice. Meals can also be delivered to the rooms on request. Credit card facility and currency Exchange. Kumbhalgarh is one of the charming towns of Rajasthan. The town has numerous tales to tell. It is known as the land of valiant warriors. Kumbhalgarh Fort presides the backdrop. Perched like a gigantic brown snake on the rugged contours of the Aravalli Hills for 36 km, Kumbhalgarh Fort was justly reputed to be the most impregnable fort in Rajasthan. Beautiful, charming and appealing in way beyond words, Kumbhalgarh is a place visitors cannot miss in Rajasthan.